Do you spend the whole night battling to get to sleep, only to drift off just as your alarm goes off? Do you try to block out your worries in the middle of the night, only for them to grow in number, size and intensity, leaving you feeling wide awake? You may be suffering from insomnia. Most of us will experience transient insomnia, where we sleep badly for a couple of weeks because of some form of life stress, but return to a normal sleeping pattern once the stress is resolved. However, for a quarter of the UK population, the problem has developed into a chronic condition lasting months, if not years. It’s natural to want to fight against sleeplessness, but that can be the very thing that fuels it. To overcome it, you need to change the way you relate to it, rather than battling against it. Eating a late dinner or snacking before going to bed can activate the digestive system and keep you up. If you suffer from gastroesophageal reflux (GERD) or heartburn, it’s even more important to avoid eating and drinking right before bed, as it can make your symptoms worse. In addition, drinking a lot of fluids prior to bed can overwhelm the bladder, requiring frequent visits to the bathroom that disturb your sleep. Go to bed and get up at ‘roughly’ the same time each day – this will help to keep your body clock regulated and promote your natural drive to sleep. If you really need a nap, limit it to 20 minutes. Limit activities in bed. Your bed is for sleeping and that’s it. 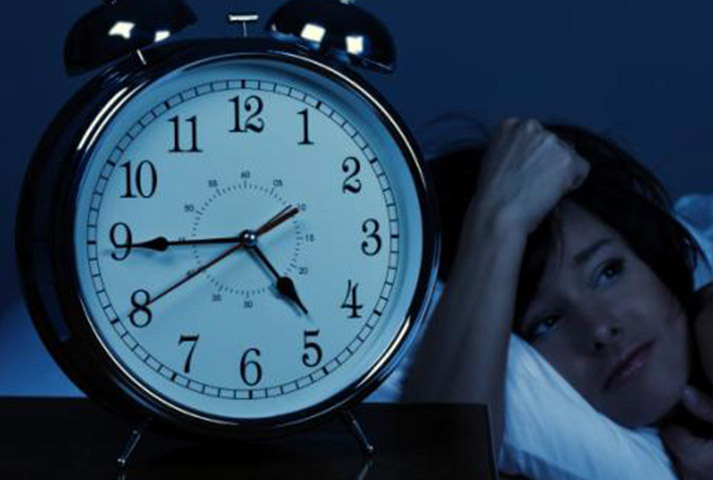 If you suffer from insomnia, do not balance the cheque book, study, or make phone calls, while in bed or even in the bedroom, and avoid watching television or listening to the radio. These activities increase alertness and make it difficult to fall asleep. Start winding down and turning off your devices 30-40 minutes before going to bed. While napping seems like the obvious way to catch up on missed sleep, it’s not the case. It’s important to establish and maintain a regular sleep pattern and train yourself to associate sleep with cues like darkness and a consistent bedtime. Napping can affect the quality of night-time sleep. Worrying about poor quality past sleep or imagining how bad things will be in the future if you don’t sleep only helps to increase night time arousal levels. Whilst noticing things objectively and without judgment in the present moment like the touch of your duvet on your toes or the gentle movement of air in and out your nose can promote sleep. Writing your thoughts down can be a great way to work through your troubles and concerns. Write down anything that’s bothering you, along with a possible solution for each one. You can also jot down any urgent thoughts you have while getting to sleep that you absolutely need to remember for the next day, so that the idea of forgetting them doesn’t bother you either. An hour of Pilates will help you to unwind, relax and focus on yourself. It will also improve your strength, flexibility, core control, and realign your body after sitting at a desk all day. The combination of focusing on breathing correctly and slow, mindful exercises will relax you, clearing your mind enough to enjoy a sound night’s sleep. Copyright © 2018 Pilates Studio. All Right Reserved.